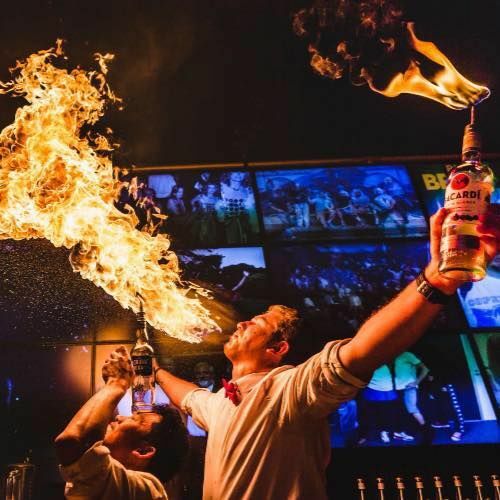 Add flame bartenders to your next event. Flaming citrus over a drink is one part flavor, two parts flair. It’s a bartending show-stopper with flames, fireworks, flair and flare!